Is this for real?? or some of your brilliant imagination...Very entertaining and the composition is "spot on"....!!! Dima, I promise that when I travel next time I shall attach thishttp://www.pbase.com/eldarrio/image/69691652 to my toilet ticket :-), and I hope that this will meet your approval ?! Nice document! But what a pity that there is no place for the usuario's photo in it!? Such a disgraceful incompleteness in connection with the struggle against the world evil! what can i say eldar, you are a travelling dude!! Hello Eldar. Super story and photo. It looks like everyone in Peru is on the take. Perhaps you could have used a few of these extra bank notes to secure a better position in line. 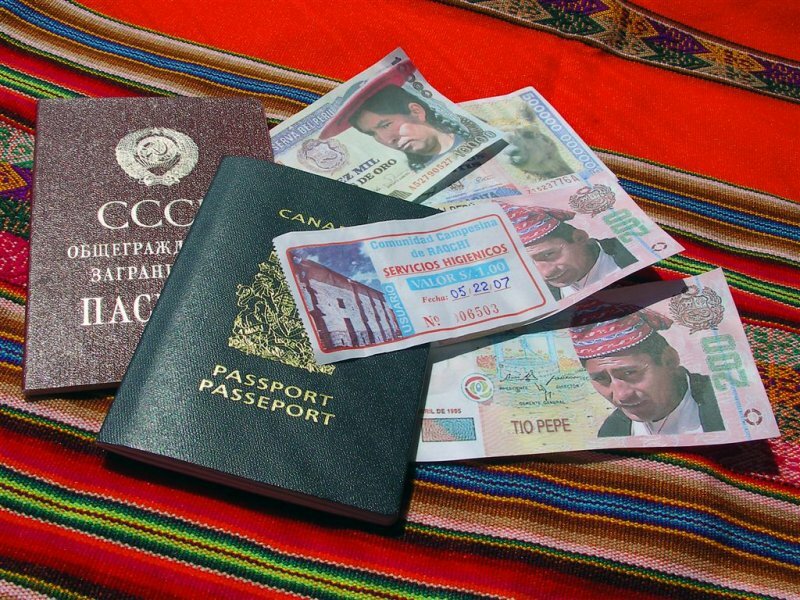 But in any event, your adventure here gives a new meaning to the word "passport." Perhaps we should rename the word to "pissport." Who ever said "when you have to go you have to go" never traveled to Peru. Oy. Michael. The many facces of money. Great to see you no longer need the CCCP passport!! We paid 1 sole per capita, but experience was priceless indeed, LOL ! Oh!!! CCCP. Is an old passport I supose! Beautiful compo. Vote!